There are many reasons to switch up your dog’s food. Some dogs develop food sensitivities, resulting in a necessary change; while other dogs may grow bored with their food and stop eating. 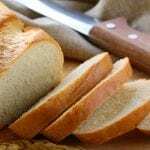 Age and weight are other factors that may play a role in changing dry food. Whatever the reason is, you might be left wondering how to transition dog food smoothly and successfully. There are a few times in a dog’s life where they will need to transition from one food to another. Puppies – At 11 months old, begin the transition from puppy food to adult dog food. Switching over to adult food ensures that your dog is receiving the proper nutrients. 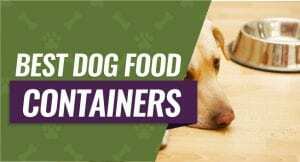 Large Breed Puppies and Small Breed Puppies – Large and small breed puppies should switch to their appropriate breed’s adult dog food, ensuring that their individual needs are satisfied. Small Breed Adults and Medium Breed Adults – At about seven years of age, these breeds should transition to a mature adult or senior dog food. Mature adult and senior dog foods provide the appropriate amount of nutrients and calories need for their age. Large Breed Adults – At about five years of age, large breed adults should transition to a mature adult or senior dog food designed specifically for large breeds. Large breeds need more calories than smaller breeds to maintain their weight, even as they age. 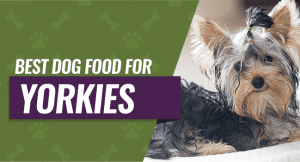 Pregnant or Nursing Dogs – Pregnant and nursing dogs need food that is energy-dense and enriched with calcium, so it is ideal to transition them to puppy food during this time. 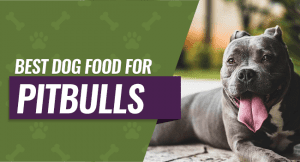 Large breed dogs should be switched to regular puppy food and not a large breed puppy food. 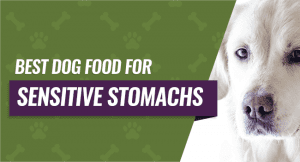 Specific Health Conditions or Veterinary Recommendations – Your veterinarian may recommend a dog food for a specific ailment or health condition (such as having a sensitive stomach or being overweight). Be sure to discuss how to transition your dog from their current food to the recommended formula with your vet. 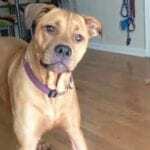 It is normal to feel anxious to get started when transitioning your dog from one food to another. There is no need to worry; switching dog foods is a simple process. To see the full benefits of the new food, be sure to transition slowly over the course of seven to ten days. 1. On day 1 and day 2, mix 25 percent of your dog’s new food with 75 percent of your dog’s old food. 2. On day 3 and day 4, combined 50 percent of your dog’s new food with 50 percent of your dog’s old food. 3. On day 5 and day 6, mix 75 percent of your dog’s new food with 25 percent of your dog’s old food. 4. On day 7, feed your dog only the new food. 5. From day 7 to day 10, monitor any changes in your dog’s behavior, stools, and coat. 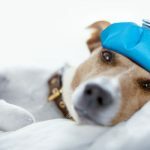 If at any point in this process, your dog refuses to eat or produces vomit or diarrhea, we recommend contacting your veterinary office immediately. When transitioning to a new food, the measurements do not have to be exact; however, the amounts should relatively close. Use your best judgment. Do not rush your dog into eating only new food if he is not ready. Gradually give your dog more new food over on day seven through day ten until he is eating only the new food. Use a clear Pyrex measuring cup for accurate measurements. Avoid feeding your dog any treats or human food while transitioning from old food to new food. During the transition process, your dog’s stool is likely to change; although, a good bowel movement remains solid. If your dog’s stool is loose, slow down the transition process and contact your veterinarian. If your dog stops eating or vomits, stop the transition process and contact your veterinarian. Check your dog’s skin to see if it is dry or itchy. Dry, itchy skin can be a symptom of a food sensitivity. Probiotics add healthy bacteria into the body and improve the digestive system. Probiotics are available as a supplement or food such as goat’s milk yogurt. New food can alter the balance of bacteria. Adding a probiotic helps restore healthy bacteria. Switching between two to three high-quality brands of dog food on a regular basis provides a vast variety of options. Having multiple formulas of dog food eliminates boredom and switches up your dog’s routine. By changing your dog’s food, you are stimulating their immune system which keeps your dog healthy and happy. However, do not feed two different brands of food at the same time other than when you are transitioning. Use one formula for a month or two before changing to the other; continue alternating between formulas in that same manner. Do I Need to Transition When Switching Recipes in the Same Brand? The short answer is no. Although, this answer varies depending on the brand. Most brands able pet owners to switch recipes because the protein is the only ingredient that changes. The base remains the same. It is best to visit the brand’s website to verify that the base remains the same in all formulas. It is not recommended to switch flavors if your pet has a protein sensitivity or a grain sensitivity. Just because a brand provides grain-free options, does not mean all the recipes are grain-free. What Should I Do If My Dog Hates His New Food? Don’t panic. Despite eating just about anything, sometimes dogs do not like their new food. In this case, there are a few options you have as a pet owner. Feed your dog the new food for a month to two months. Your dog may miss the taste of their old food, especially if it had added flavors. After a few weeks, your dog may love his new food and have amazing benefits. Change the recipe but stay in the same brand. Most brands do not change their base among different recipes; they only change the protein. There is no need to transition your dog when switching recipes in the same brand. Add a topper or canned food. 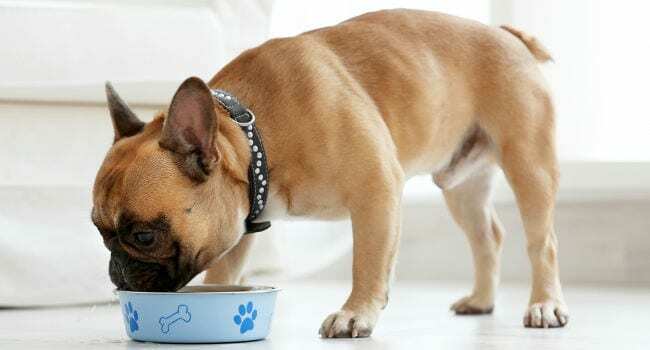 If you cannot change your dog’s food due to health reasons, check with your veterinarian about adding wet food or freeze-dried bits on top of your dog’s kibble. 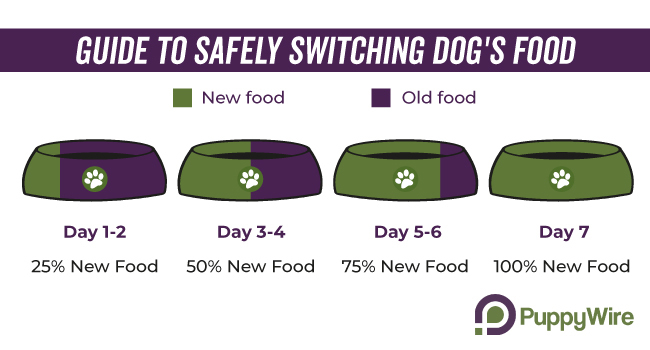 Switching your dog’s food is a relatively simple process and less scary thank you think. 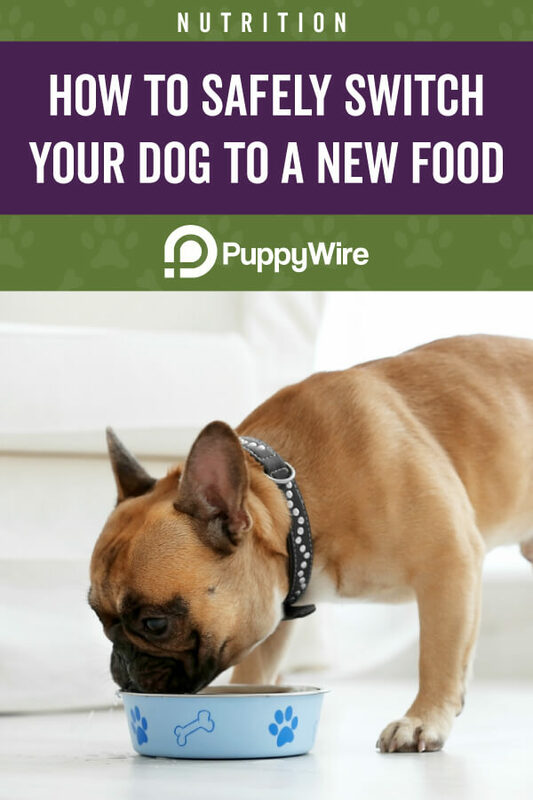 After seven to ten days, your pup will likely chow down on their new food without any problems. Learning how to transition dog food provides you with the tools necessary to make every time a breeze. Regularly changing brands eliminate food boredom and promotes a healthy immune system.